Perfectly located on the other side of the Cumberland River from downtown, East Nashville boasts an eclectic, artistic culture that appeals to many residents of Nashville. There is an abundance of history that remains evident in the renovated neighborhoods throughout the east side. Many homes and structures have been revived to bring this area of town back to its former glory of the early 1900’s. Beautiful historic homes are blended in with the shops and eateries of the Five Points, Eastland Ave, and Inglewood neighborhood. Smaller pockets of East Nashville that have gained traction and established their identity include: Maxwell Heights, Shelby Heights, Cleveland Park, Riverside Village, Eastwood Neighbors, East End, Rosebank, and Fortland Park. Found between Briley Parkway and the Cumberland River, East Nashville is one of the most popular neighborhoods in all of Nashville. It’s found to the east of Downtown Nashville and actually includes a collection of smaller neighborhoods, along with shopping, dining and plenty of entertainment. East Nashville is the largest of the neighborhoods in Nashville with three different zip codes. It has grown even larger over the years and offers plenty for those relocating to Nashville to be excited about. With several smaller neighborhoods, East Nashville offers plenty of charm and uniqueness. There’s a neighborhood for just about any type of buyer here including those seeking historic homes. In fact, East Nashville is home to Historic Edgefield, which offers Victorian style homes and many that have been converted into condos throughout. The 5-Points neighborhood is found here and offers plenty of great options for restaurants, bars and more. It’s the place to go for shopping, dining and entertainment in East Nashville. Bordering 5-Points is Lockeland Springs, which provides plenty of residential options from Victorian homes to luxury condos to historic cottages. The East End neighborhood also borders 5-Points and offers many great hopes throughout. It’s known for refurbished historic homes and it’s the smallest of the East Nashville neighborhoods. Eastwood offers a very popular choice with plenty of larger Tudor and cottage homes throughout. It’s also home to some Victorian homes and offers plenty of convenience to the rest of the neighborhood. Rolling Hills overlooks Shelby Park and offers Spanish-style haciendas and quaint homes throughout. Inglewood is another neighborhood in East Nashville offering some newer homes with many built after the 1920s. East Hill provides a neighborhood in East Nashville with cottage homes and plenty of new businesses. Another neighborhood in East Nashville, West Greenwood has been revitalized with many remodeled homes throughout. 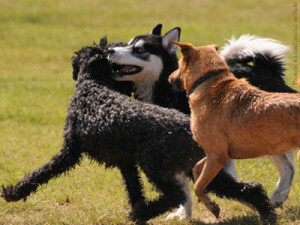 Finally, Cleveland Park and McFerrin Park offer great choices in East Nashville. Both are affordable with plenty of great housing options including cottages, Victorian homes, craftsman bungalows and Tudors. Historic homes are a staple throughout East Nashville. 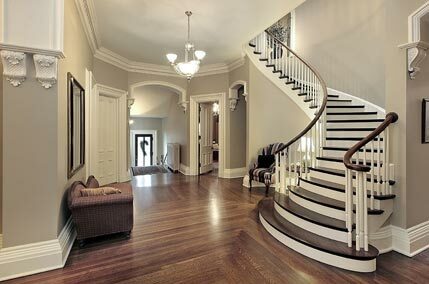 A variety of styles range from the classic Victorian, to the bungalow, cottage and craftsman style homes. Like other revived communities in Nashville, there is also an infill of new construction homes and condos. 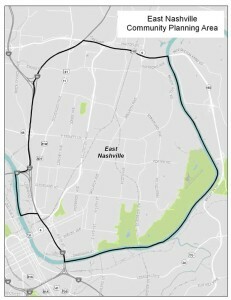 East Nashville has been compared to the East Village in New York City. This is due to the great shopping, dining and entertainment found throughout. Residents enjoy easy access to some of the best shopping in Nashville, along with great dining and plenty of nightclubs, galleries and bars. In addition, you can enjoy Shelby Park and the Shelby Bottoms Greenway, if you prefer to get outside. The Cumberland River is found nearby, as well and most of Nashville is easily accessible from the East Nashville neighborhood. A strong community of hyper-local businesses and restaurants are tied together with the support of East Nashville residents and visitors. Annual festivals, such as the Tomato Art Fest and East Nashville Beer Festival are popular events. The East Nasty Running Group, aka, The East Nasties, can be seen on early Wednesday mornings and Wednesday evenings running around the East Nashville neighborhood. Not to be missed are community events like the East Nashville Farmers Market and Tomato 5K. Man’s best friend loves East Nashville living, too. When you relocate to Nashville and you decide to call East Nashville home, you’ll have plenty of housing options to choose from. It’s the largest community in Nashville and one of the most popular. Whether you seek a historic home, a modern single-family home or even a sleek condo, you’ll find it throughout East Nashville.